Map It! Okinawa: "Awase's God of Fire Utaki"
The god of fire has been worshiped in ancient times (Okinawa) in people's kitchen. To this day, it is known as the protector of homes and is very well respected. From a family guardian, god of villages, and more importantly, Guardian of the Ryukyu Government during the Sho Dynasty, it became the highest level female guardian. On 24 December based on the lunar calendar it is said that she rose to heaven. January 4 on the lunar calendar the following year, is a festival welcoming the god of fire. Prior to 1945, Awase's God of Fire was placed facing the south side of the road, found on the northern part of 'Ubugaa.' (a water well collocated in the same area). It is symbolized by three stones (Umichimon) and an incense holder. In 1945, Awase was seized by U.S. soldiers. The original structure was burned down and damaged during the war. 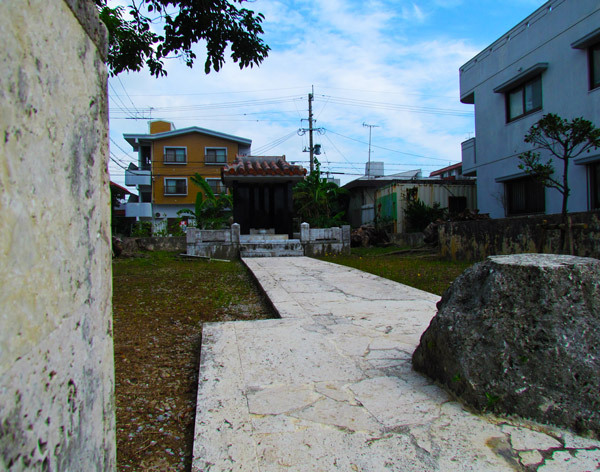 In 1951, part of Awase was re-opened to the Okinawan people and the prayer site was temporarily reestablished. The current location was rebuilt by the Awase Land Re-adjustment Committee. The god of fire is also referred to as 'Hinukan' in Japanese, but it can also be referred to as 'Umichimon' as written above in the translation and gives reference to "three honorable things" (source: Encyclopedia of Shinto). 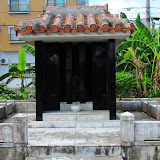 Other places of interest nearby: The Awase Shrine, The Meinu Utaki, The Awase War Memorial, Kanumou Well, Ubugaa. 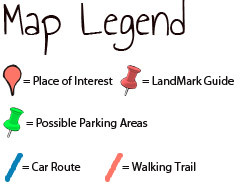 *Reader's Note: Icons of nearby areas will not be visible on the above map. This is because Google Maps starts a new complete Map Page when a certain number of Icons been marked. Don't worry the other icons are still there. To see the other places of interest on the map, click the 'View Map It! Okinawa in a large Map' link above and scroll down at the bottom where you see the Previous and Next Links. I have provided feedback to Google that they should show everything on the map.